There are many things we do not want to see go down the drain, such as our savings, our effort, the value of our experience. When we put something in the toilet, we do want it to go down the drain. Yet all of us, sometimes get a blocked drain! What to do when the toilet won’t work? Head to the supermarket and get some drain cleaner. Most household drain and oven cleaners contain Sodium hydroxide. This is nasty stuff. Here are a few of the symptoms of sodium hydroxide poisoning or exposure in different parts of the body according to the National Institute of health at the US National Library of Medicine (1). Do not use Drano. Ever. It’s toxic, expensive and most importantly it doesn’t work and it eats at seals that prevent leaks. So how do you get the toilet sending whatever down the drain? Merri and I use Purely Green, bio degradable and non toxic. This is am amazing degreaser that helps dissolve clogs in the drain. I pour it in, let it sit for half an hour or so and pour in warm (not boiling) water. In fact just simply using Purely Green for other cleaning uses can help avoid clogged drains. Gary, We had a mobile home park with its own sewage processing plant. Residents tended to pour grease, etc. into the drains, which cooled and clogged the drain lines. Purely Green has worked well for us when we have simple clogs in the drain. This works quickly, is safe and good for the environment. Merri and I take the cleanliness of our food supply seriously. In North Carolina we eat a lot of wild food and vegetables we grow in our garden. 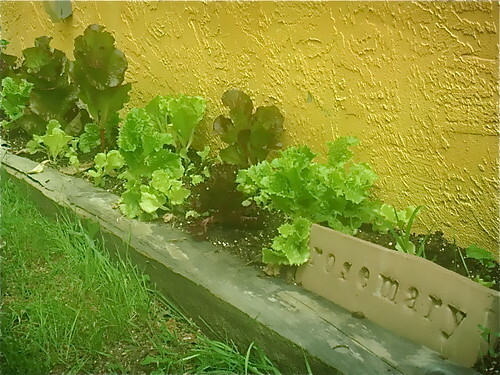 surrounding our house with lettuce of all types, greens and herbs. Our greenhouse allows us to start our planting early. In the spring nature provides us with dandelions and a wonderful lettuce (called branch lettuce) that grows wild in the creek later to be supplemented by Bee Balm and Echinacea for tea. 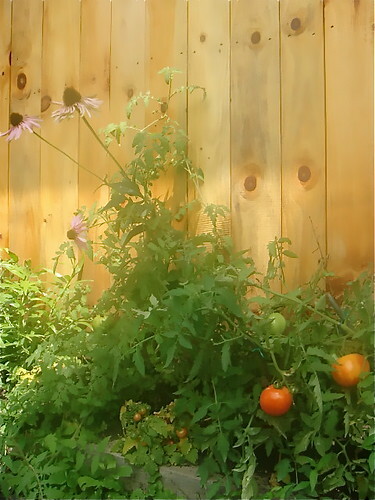 Here is echinacea and tomatoes growing in front of our meditation room. Here is a bit of our harvest. 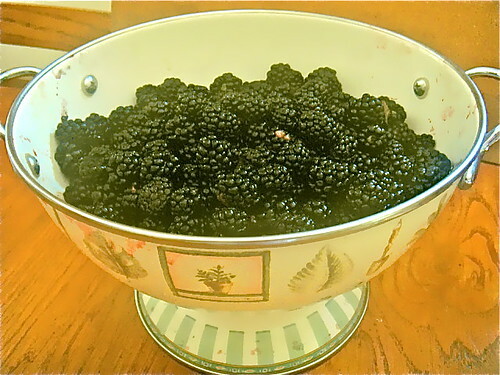 wild blackberries in the summer and wild mountain strawberries in the late spring. 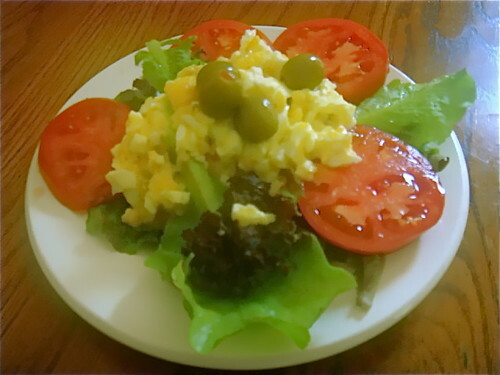 Our chickens provide us with summer meals like this. 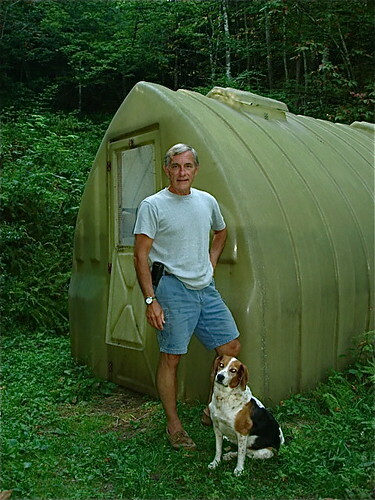 We also have a greenhouse in Florida and start the gardening process again in winter. In addition we have citrus, grapes, figs, blueberries and loquats that provide us with Florida fruit throughout the year. These crops, plus trout in North Carolina, bass and panfish from our Florida lake allow us to eat less commercially grown food. 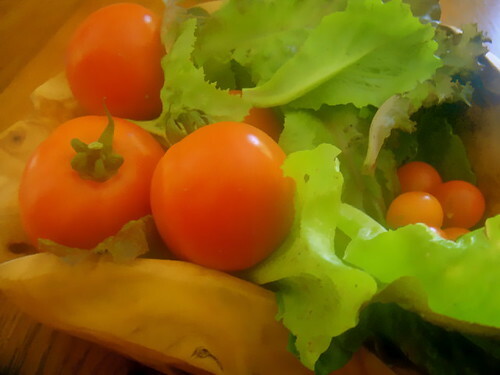 This gardening is fulfilling, provides gentle exercise and we find picking our own food especially satisfying. Plus there are some enormous health benefits. This is why Merri and I clean our our vegetables and fruit, especially those we purchase in the store, with Purely Green 25. I asked our friend, Ted Tidwell, who manufactures Purely Green to explain how this works. Ted replied: In order for pesticides to remain on the plant and effective during rains, they are encased in oil. An ordinary vegetable wash that does not dissolve oil will permit pesticidal residues to remain on the plant and be ingested. Merri and I use Purely Green 25, diluted at the rate of two (2) ounces per quart of water is our preferred method for cleaning purchased fresh fruit and vegetables. We simple spray our fruits and vegetables thoroughly and generously with Purely Green and let it penetrate for several minutes before rinsing. This removes the oil encrusted toxic chemical pesticides that ordinary veggie washes cannot remove. This also improves the taste by removing the oil and toxins and extends the freshness and edibility for several additional days. Purely Green is certified carcinogen free. Many consumers save the cost of expensive organic produce by removing the insecticides with Purely Green. This organic cleaner/degreaser helps the environment and poses no threat to humans, animals or marine life. Recently Ted sent this note to me: EcoCert International has certified BioWash 25, BioWash 100 and BioWash Soil Amendment as ORGANIC. This achievement will help enrich hundreds of distributors and thousands of organic growers. ECOCERT (2) is an organic certification organization, founded in France in 1991. It is based in Europe but conducts inspections in over 80 countries, making it one of the largest organic certification organizations in the world. The company inspects about 70% of the organic food industry in France and about 30% worldwide. ECOCERT is also a leading certifier of fair trade food, cosmetics and textiles as per ECOCERT Fair Trade Standards. Congratulations to Ted. It is great to see other organizations confirm what we have known and have let readers know for decades. There is also a huge financial savings. Three quarts of 409 household cleaner delivered by Amazon.com is $16.98 or about $5.66 per quart before shipping. You then have shipping costs or have to pay to be an Amazon Prime customer for free shipping. But $5.66 per quart is about the best you’ll get for 409 household cleaner. One gallon of Purely Green 25 is $96. This is a concentrate that is mixed 15 to 1 (two ounces per appx. quart 30 ounces of water). That gallon of Purely Green creates 64 quarts of ready to use at less than $2.00 per quart. There is one drawback to the Purely Green products, a high cost of shipping. Ted does not offer Purely Green in stores and Fedex charges quite a bit for shipping. The shipping, for a gallon averages out around $26 a gallon. So the Purely Green and shipping are $122. If you were to purchase the same amount of a traditional non organic house cleaner (such as Clorox 409) from Amazon.com, you would pay $266.24 more. You can order one gallon here and the shipping is included. We are bombarded daily with toxicities of every sort. We see toxic news. We are sold and served toxic food. Much of our water supply contains poisons. There are chemicals in the air. 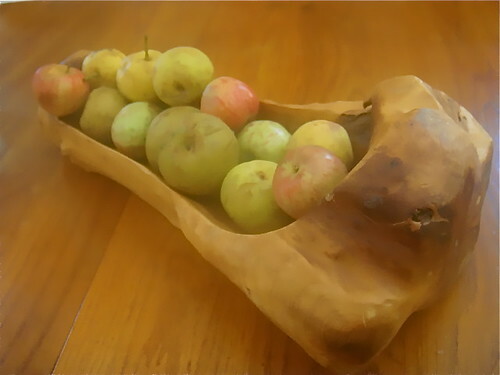 Anything we can do to reduce the pollution that gets in our bodies can help us get and maintain natural health. I hope that sharing this program for Purely Green will help create a cleaner world.